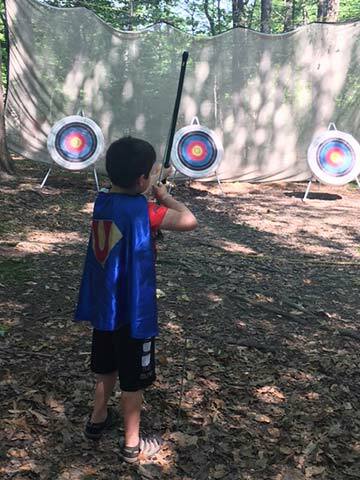 Summer Junior Day Camp is our youngest summer program, for children ages 5 and 6 years old (who will at least be entering kindergarten in the fall) from Northeast Ohio. 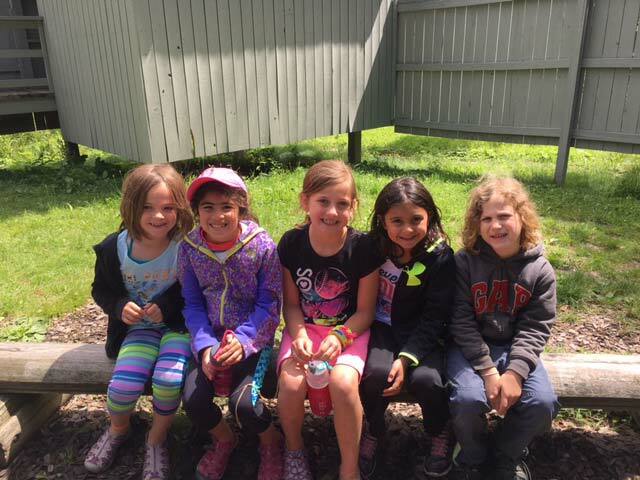 Junior Day Camp is a closely supervised program to give children a safe, secure and nurturing environment in which to be introduced to the joys and benefits of camping and to expand their horizons. It runs Monday through Friday, 9 a.m. to 4 p.m.
New this summer Session Themes. Session theme’s will be incorporated with our typical outdoor camp program. This summer will be a bigger adventure than ever! Session One: Travel thru Time. What was life like back for boys and girls in the Renaissance or the Roaring 20’s? Campers will hop in our time machine for an amazing journey across the ages. Session Two: Heroes vs. Villains. Good vs. Evil, right or wrong, this super session of camp will be divided. Will the Heroes prevail or will camp be taken over by Villains. Session Three: Dinosaurs. 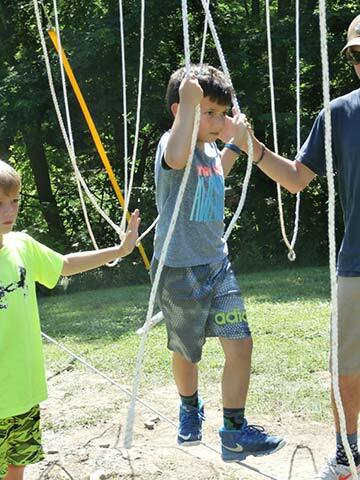 Dinosaurs roam free at Hiram House and its up the campers to save them. Campers will learn about these magnificent ancient creatures and will be able to walk among them. Session Four: Color Wars. One of the most popular sessions, campers can expect a highly engaging and exciting 2 weeks competing against other teams to see who comes out on top. Session Five: Space. Campers will get to experience the galaxy and beyond. They will learn about stars and planets and take part in helping to destroy the Death Star. May the force be with you. Camper Fees – Please Note: Prices are for combinations of established sessions. 2 week sessions cannot be split. Early registration for Summer 2019 opens at 10:00 a.m. on September 15, 2018 for Summer 2018 families only. 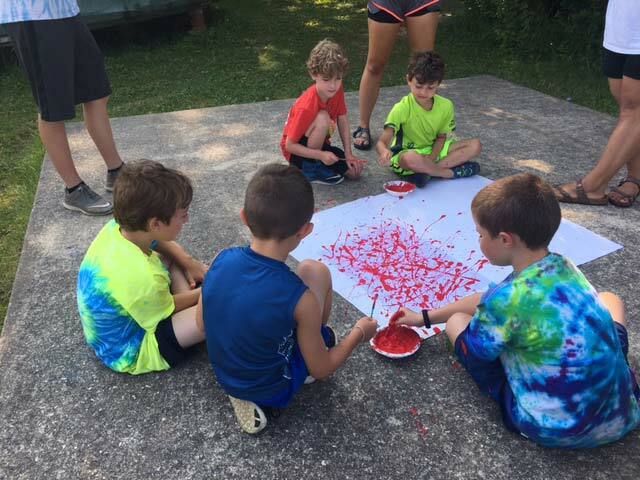 Open registration for New Families for Summer 2019 open on November 14, 2018. Registration is open now! You can register online after creating an account. Camp fees are non-refundable and non-transferable. In the event of a medical cancellation, $10 of the deposit will be kept as a registration service fee. There is a $20 charge for any non-sufficient funds checks. There are no pro-rated fees for campers arriving after the start of a session or leaving before its completion. There is a $10 fee for any change after registration. Hiram House is not responsible for any lost or damaged camper property during the camping season. Each day will also include swimming. Activities will vary daily. FOR MORE INFORMATION, DOWNLOAD OUR CAMPER HANDBOOK! Campers go to the camp store on Mondays, Wednesdays and Friday. On these days, campers may purchase one ice cream and/or one drink. On the last Wednesday of each session campers may buy T-shirts and souvenirs. Camp store money must be deposited into the camper’s account prior to their visit. DO NOT SEND MONEY WITH YOUR CAMPER. Cash will not be accepted at the camp store. You will be notified of any balance in your child’s account at the end of the summer and it can be refunded. 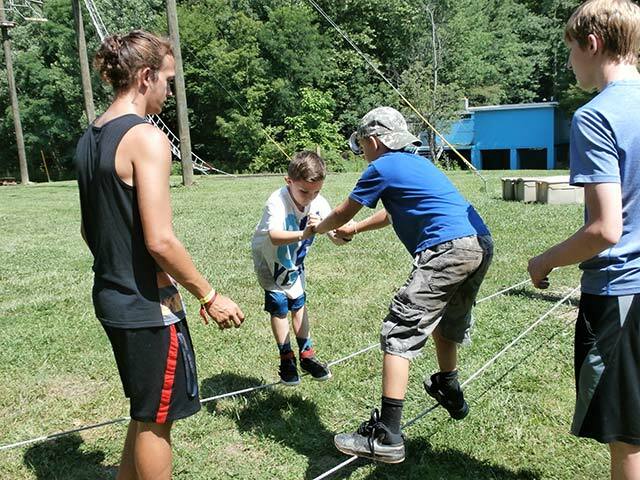 Our program staff is under the supervision of a qualified director and maintains an 6:1 ratio for Summer Day Camp. 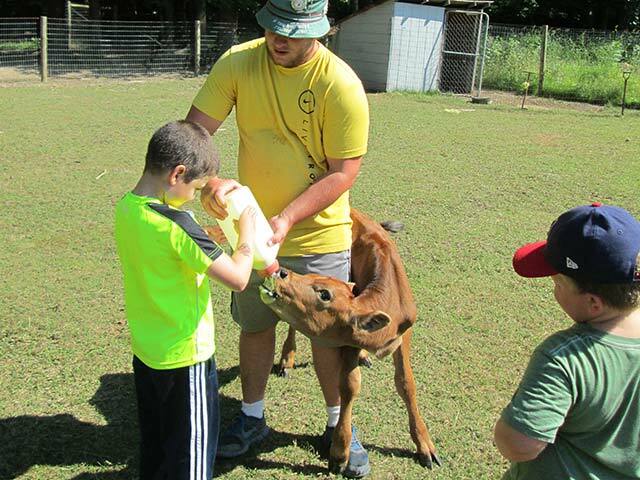 Summer staff consists of many college and senior high school students with experience or interest in child development. Staff are required to participate in an intensive five-day in-residence training prior to the start of camp. Group counselors supervise and lead each camper group. Specialists guide activities such as climbing wall, archery, etc.